After two earlier summits with soaring but empty rhetoric, the Korean leaders finally produced some substance on their third try. North Korea promised to dismantle some of its nuclear facilities, though in one case only if the U.S. takes unspecified reciprocal measures. The two Koreas agreed to several steps to reduce tensions and the risk of accidental clashes along the heavily fortified border that divides them, and to make a joint bid to host the 2032 Summer Olympics. The better-than-expected outcome kick-started stalled negotiations between Washington and Pyongyang, boosting President Donald Trump’s high-stakes push to get the North to give up its nuclear weapons. Throughout the trip, Moon could be seen smiling broadly as he and Kim enjoyed the ecstatic reception of a Pyongyang that seemed to have been painted, polished and framed until it was the best possible version of itself. 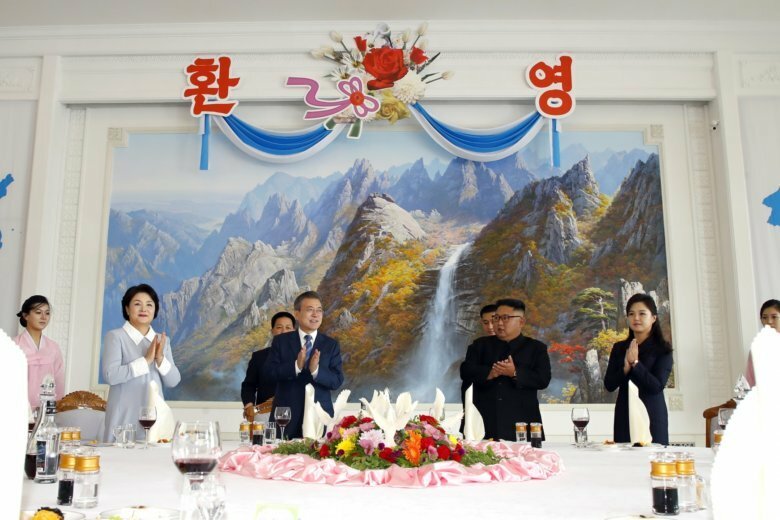 To some observers, the grand theater was a propaganda coup for North Korea and its leader. On the final day, Kim even escorted Moon to Mount Paektu , a still-active volcano considered to be the spiritual center of the North Korean revolution. The places Moon visited , including the mammoth stadium where he watched a performance of North Korea’s unique mass games, provided glimpses into the country and how it sees itself. How you see the third summit this year between Moon and Kim — and there could be a fourth in the works, with Kim promising to visit Seoul soon — may depend on where you’re sitting, both geographically and politically. AP bureau chiefs reported on the views from Pyongyang and Seoul . For Moon, the summit also represented unfinished business . He is looking to bolster the legacy of his late friend and political mentor, former President Roh Moo-hyun, whose ambitious efforts to build trust with the North crumbled as it began building its nuclear arsenal. The still unanswered question : Whether Moon’s outreach will succeed in bringing about the denuclearization of North Korea.